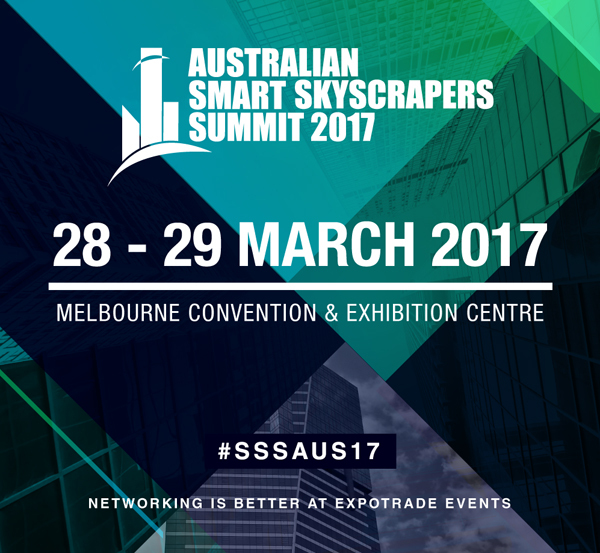 Launching in Melbourne on the 28th and 29th of March at the Melbourne Convention and Exhibition Centre, the Australian Smart Skyscrapers Summit is a comprehensive two day event profiling innovative new developments and technological advancements in high-rise design and construction. With a large array of local and international speakers presenting, the Summit will examine case studies of some of the most interesting and awes inspiring tall tower projects across Australia and the world. The Summit brings together stakeholders from amongst architectural, urban planning, construction, supply, engineering, government, institute and academic body industries to enhance learning, create exclusive networking opportunities and develop a road map towards sustainability in skyscrapers. Presentations, panel discussions and exhibitions as well as a cocktail reception will provide abundant opportunities for interaction and knowledge sharing at the Summit. With an agenda that reflects new ways of conceptualising and building high-rise towers, the Summit will see presentations that cover a broad range of cutting-edge issues. Prefabricated construction is delivering stunning new high-rise structures, forging a new modular mode of building. Vertical schools are reimagining traditional ideas of educational environments, now taking off in Australia. Innovations in vertical transportation will also revolutionise skyscraper design and architectural flexibility. Smart design is also a prominent concern in the new age of skyscrapers as architects and developers look to increasingly more green, environmentally friendly and efficient ways of creating tall towers through building design, building materials and building systems. As a leading industry event, the Smart Skyscrapers Summit has attracted huge interest from high-rise development experts; among them leading architecture, engineering and construction companies who will work together to forge a new era of high-rise design and construction projects in Australia.